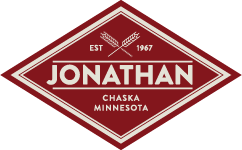 The Jonathan Association is organizing a community-wide garage sale for all Jonathan residents. This event is a useful way to recycle your household items as well as a chance to get to know your neighbors. There is no registration fee to participate. Garage sale maps will be available at the World Learners School parking lot located at 112050 Hundertmark Road. There will also be concessions for hungry garage-salers and bathrooms are available. To register your sale to be on the map, you must fill out a registration form no later than April 22. To register your garage sale online, please use the form below. Registration forms may also be submitted at the Karen House — 111000 Bavaria Road.